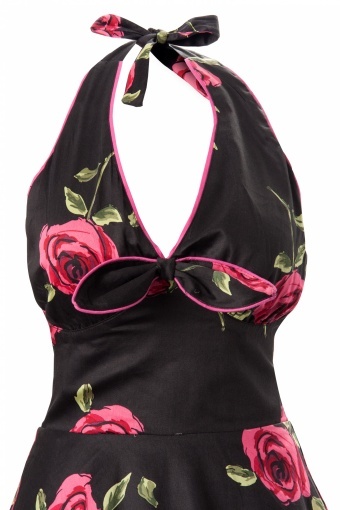 Black Fuchsia Roses halter dress from Vixen. 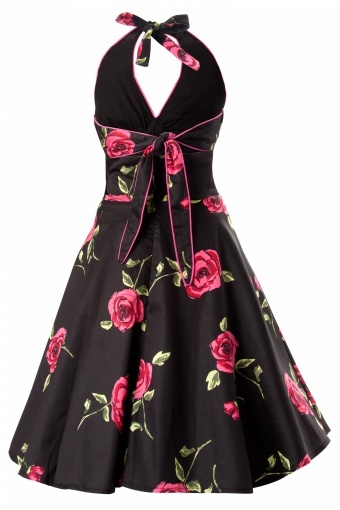 Elegant halter swing dress in beautiful rich Rose print! 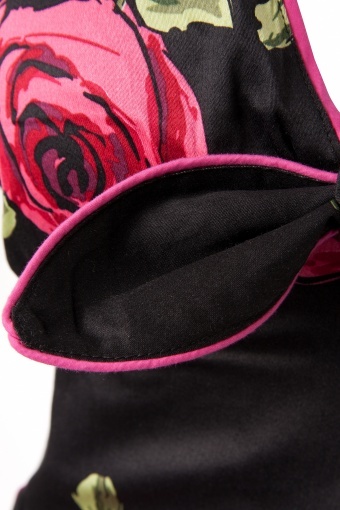 Special detail is the open back with adjustable straps. Made of luxurious cotton sateen (not satin!) with a mat finish. The fuchsia pipings makes het complete and makes it more sassy. Lined top with adjustable halterstraps. Back zipper and full circle skirt. 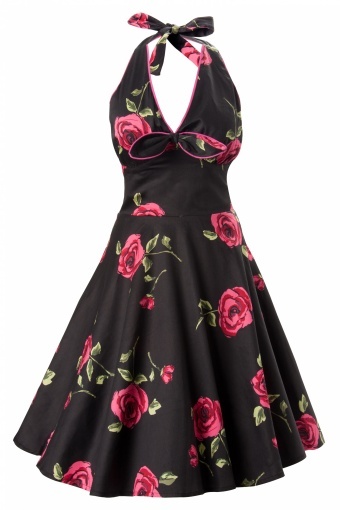 Perfect party dress for all season for a nice price!